Did you know 50% of businesses will not recover after suffering a water or fire disaster? The best way to reduce business interruption is to plan in advance. 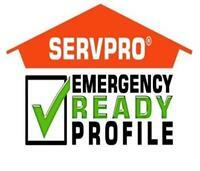 Call today and set up an appointment with me to come out to prepare a complementary Emergency Ready Profile for your business. Remember, when disaster strikes, turn to the team that is here in OUR community to help!